Are you ready to take tiny living for a test drive? With tiny house hotel locations popping up around the country, you can easily book yourself a retreat to remember. These personality-packed, mini hotels provide more than just a stay–they provide an experience. 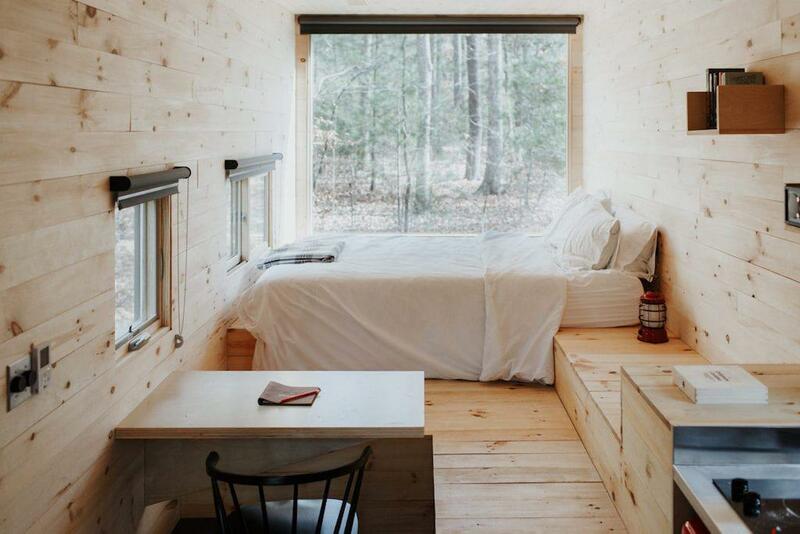 Check out some of these incredible tiny house hotels you’ll want to stay in right away. Located only a mile from the award-winning number one beach in the United States, Tiny House Siesta is the perfect stay for those who want to skip the hotel. Each of the 12 beach-themed tiny houses has its own unique look and feel. For example, one of the tiny homes has a sand dollar theme, while another looks like a classic lifeguard tower. Each pet-friendly tiny house comes with WiFi, cable tv, linen, and microwave. The area boasts excellent restaurants, nightlife, and water sport activities galore! 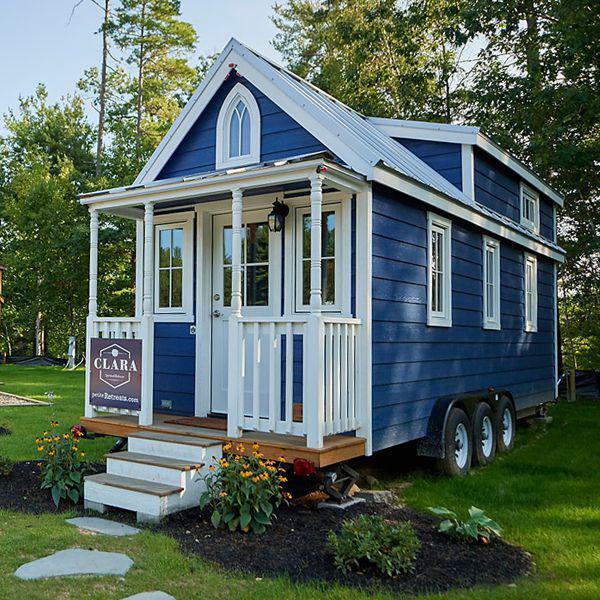 These gorgeous tiny houses put the ‘treat’ in retreat! 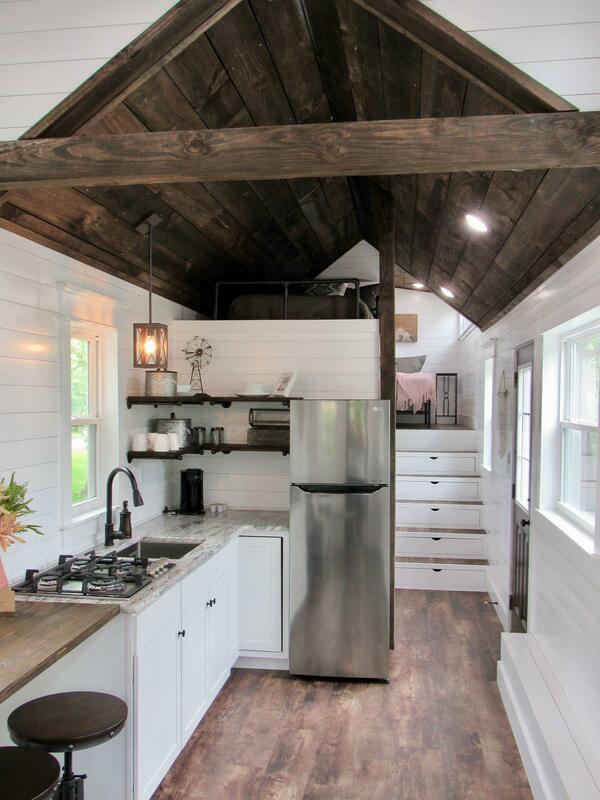 Each of the 4 available tiny homes is uniquely themed with incredible attention to detail. The Shangri-Little tiny home features intricate wood patterns, a cathedral opening, and a rooftop deck for your stargazing pleasure. The location itself is stunning; a nearby cliff provides breathtaking panoramic views of the surrounding mountains and valleys. The communal fire pit and hot tub make for a great spot to swap stories and make friends! Humorously dubbed “The World’s Largest Tiny House Resort” – one look through their photos and you’ll see why. 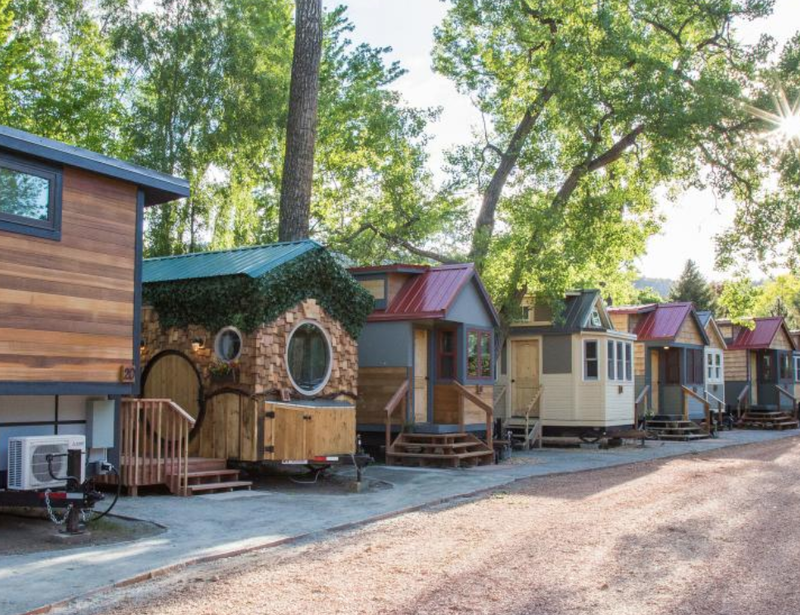 This tiny house resort boasts row upon row of top-notch tiny houses. Each tiny home includes a small kitchenette, free WiFi, firepit, and private access to the nearby river. Known as the “Gateway To The Rockies,” the area provides plenty of natural beauty for guests to explore. There’s a reason why this tiny resort received a TripAdvisor 2018 Certificate of Excellence. These upscale, sustainable cabins allow guests to enjoy the surrounding nature in the privacy of a tiny abode. Each of the 25 available cabins make use of sustainable materials that showcase the natural beauty of tiny house design. The Jackson Hole area is known for incredible hiking and horse-riding in summer, as well as exciting winter sports like skiing and snowboarding! 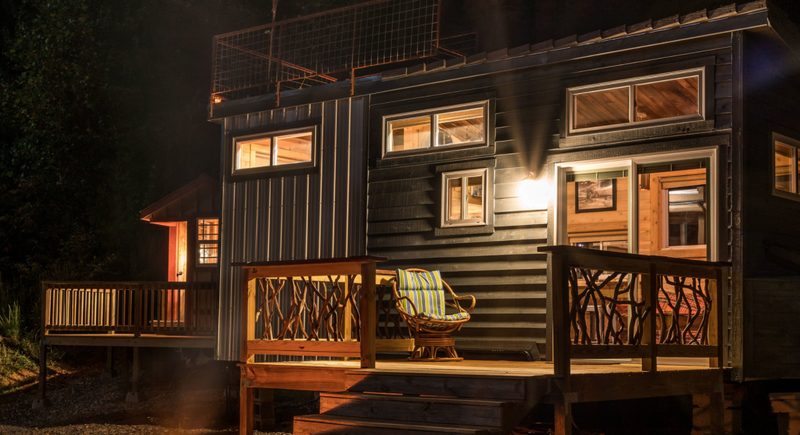 This newly-opened tiny house resort calls a 14-acre former campground its home. Each of the tiny homes on the property have a different shape, square footage, and story. What’s so lovely about this tiny resort is that the owner clearly has a real passion for tinys. 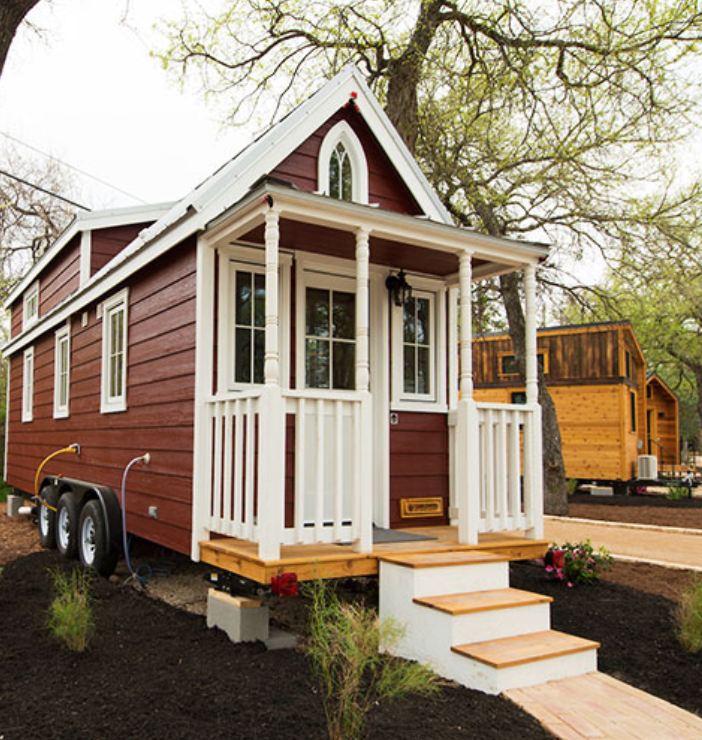 Each tiny home has a story and a name that represents an important part of the journey. Guests can make use of the full kitchen or eat at one of the many restaurants in town. And let’s not forget that Hershey Park (yes, the chocolate) is nearby! Tiny house enthusiasts in the Northeast can hit the escape button in one of these 180-275 square foot tinys. Each comes stocked with linen, kitchen, and BBQ/grill. This tiny house village is the perfect place to view the leaves changing colors, or to just kick back by the pool. Close by are wineries, museums, and the famous beaches that line the New Hampshire coastal region. 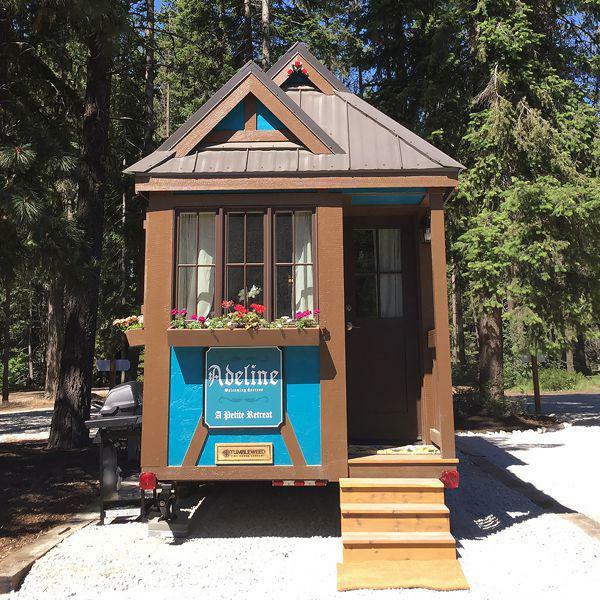 If you’re looking for unique tiny home stay–this is the tiny hotel for you! 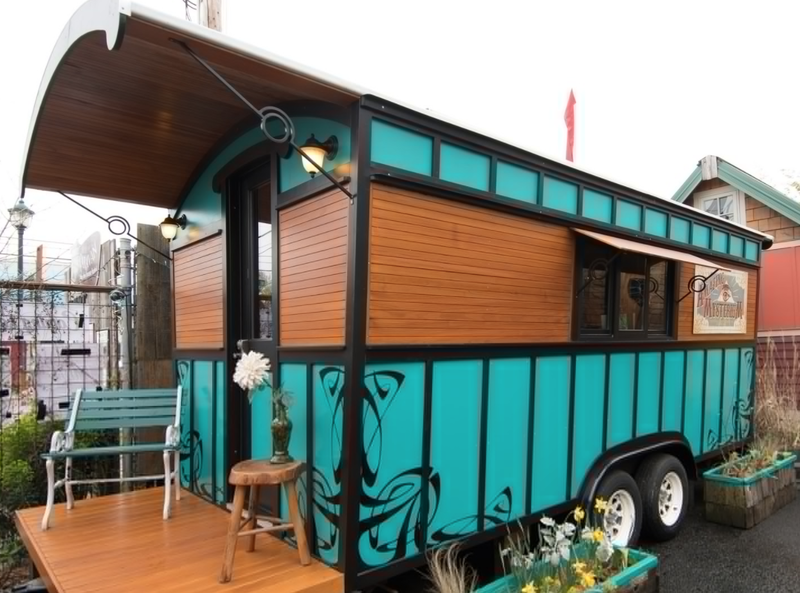 Located in the funky Alberta Arts District, the Tiny House Hotel offers guests the chance to stay in one of their six custom-made tiny houses on wheels. Each tiny home has its own unique theme and designs made from locally sourced materials. For entertainment, they host ‘Caravan Campfires,’ where guests can listen to music by the light of a crackling fire. Each tiny home has a kitchen, bathroom, living space, and cozy sleeping area. This tiny hotel offers guests the chance to live tiny near the big city. 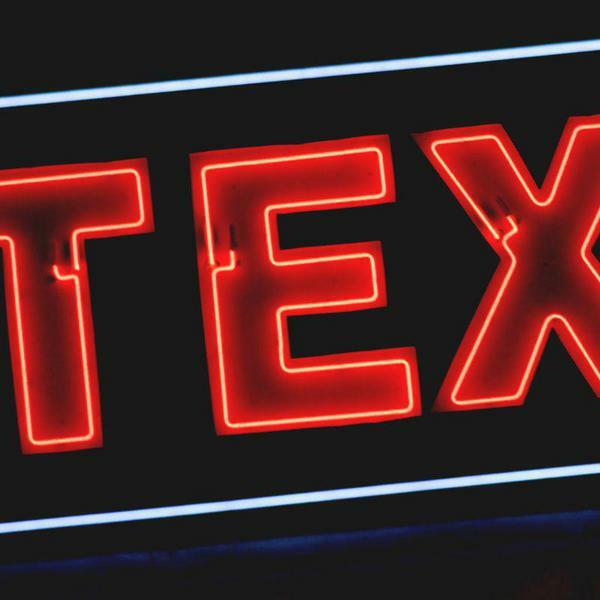 Located in the heart of Texas, guests can explore the city and enjoy the vibrant music and food scene. If the city isn’t your thing, then relax on your tiny porch with a good book! 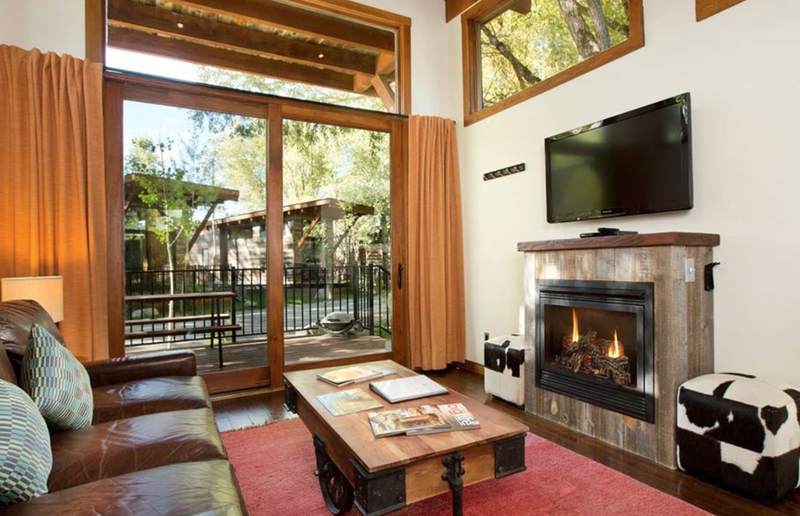 Each tiny house comes with WiFi, kitchen, TV, and air-conditioning. In collaboration with Harvard Innovation Lab, this seriously fantastic enterprise targets city-slickers in need of a well-deserved break. 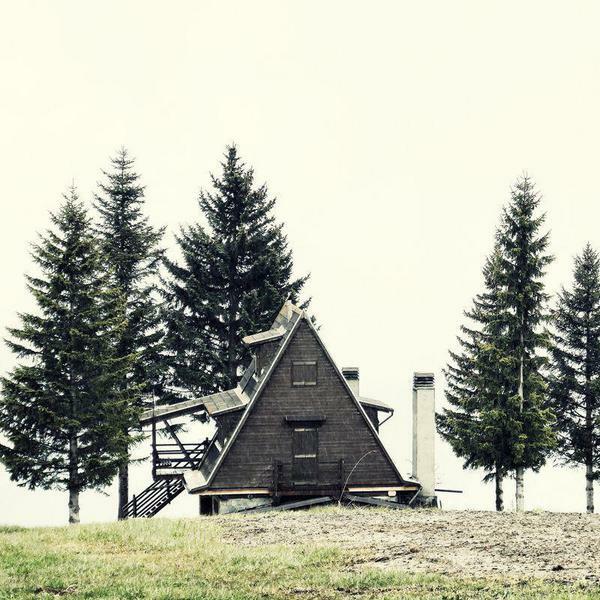 Located just outside of the aforementioned cities, these tiny houses are more like luxury, minimalist cabins. Guests can enjoy cooking their own food or using ingredients from the well-stocked pantry at a small cost. There is a sleeping nook, a living space, and an open kitchen area. Each tiny cabin has its own parking spot, fire pit, and picnic table. Get out your lederhosen! 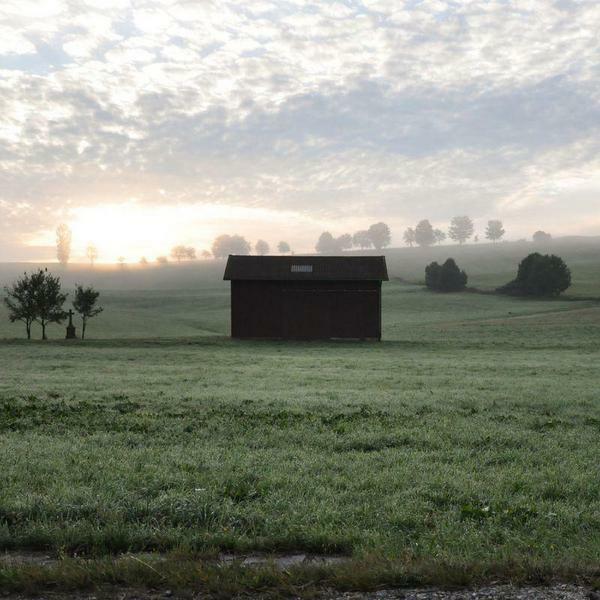 This Bavarian tiny house village offers appropriately themed tiny houses for rental. 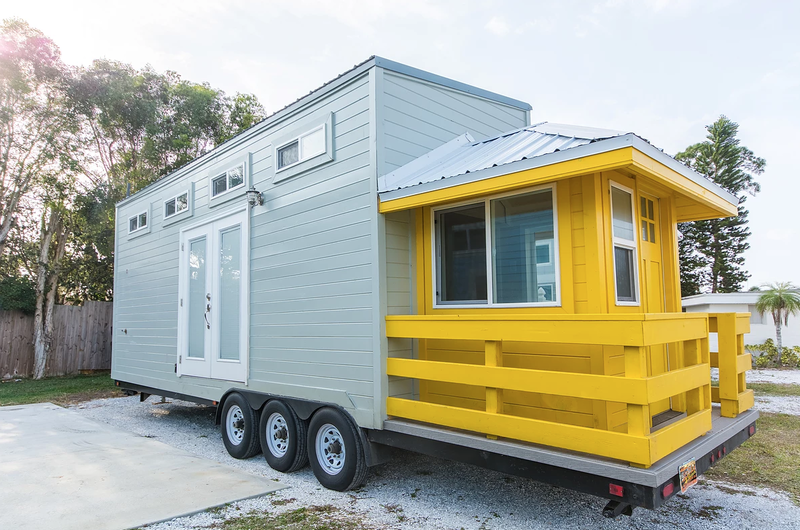 Each tiny house comes with a bathroom, kitchen, TV, and linen. The Cascade Mountains provide a beautiful view while you enjoy the area’s year-round outdoor activities. Just be sure to book ahead for the winter months, as millions of tourists flock to this area each year to enjoy the nearby Bavarian Village! Who’s ready to book their stay? If you aren’t completely sold on the tiny life, then booking a tiny house hotel is the next best thing! For those of you who are in need of a good ‘ol fashioned vacation, a tiny hotel is by far the superior choice. While a standard hotel may provide comfort and reliability, a tiny house hotel provides all that and an experience. But most importantly, a tiny house hotel provides you with everything you need and nothing you don’t–and what could be better than that?